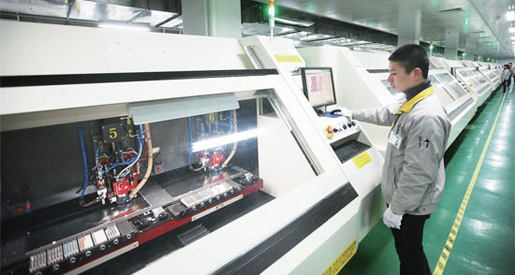 PANDA PCB has Shenzhen plant and ChangSha plant two PCB factories, Shenzhen plant is to support the quick turn order,prototype and small batch. Mass production is handled by our big plant in ChangSha with currently around 1200 employees, Including 85 professional engineer with experience more than 8 years. Engineering Capacity can be more than 6000 new orders per month. Two factory total covers an area of 20000 square meters, The rigid PCB capacity was 40000 square meters per month,And 5000 square meters per month for flex PCB. PANDA PCB had passed ISO9001: 2008 and ISO14001: 2004 and TS16949: 2009 international management system. The company religiously implemented the above system, continuously invested in the most up-to-date equipment and aggressively acquired the most advanced technology to make sure that we can provide the reliable solution to our customers. Min. gap width between copper ground 0.127mm(5mil)?